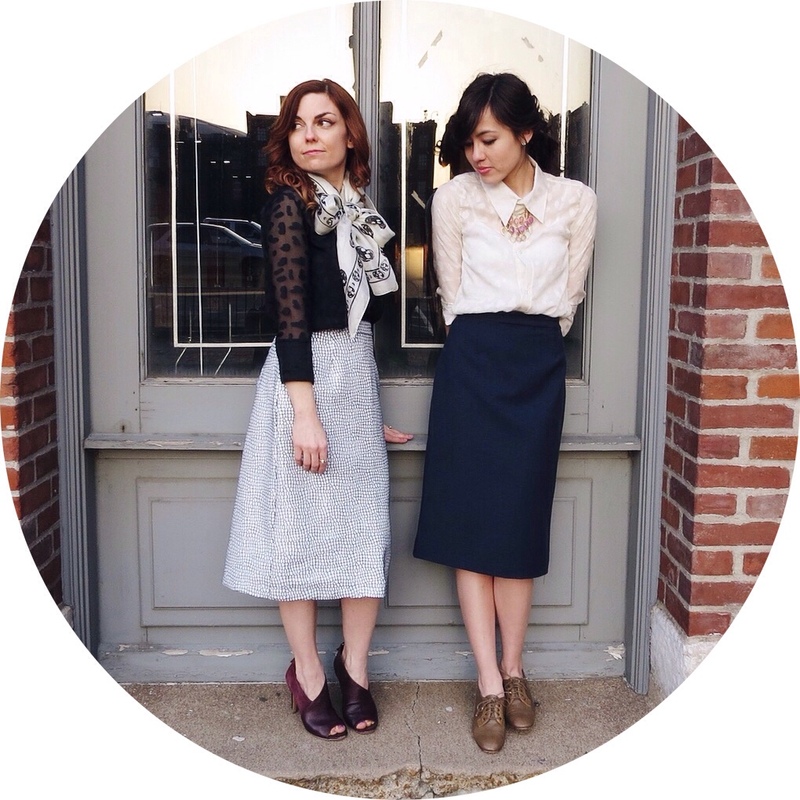 If you are a regular reader, you're probably well aware that we love craft shows and fashion. We thought we'd share some local events in St. Louis that you might want to make it out to. So clear your calendars! 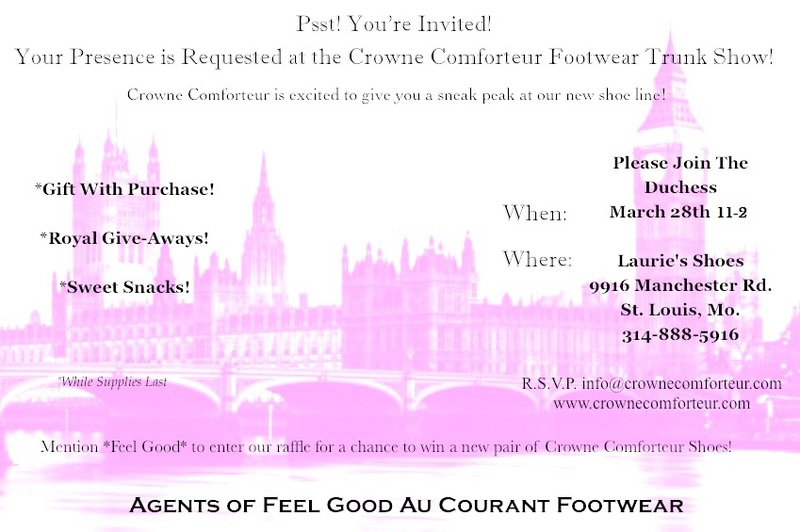 Crowne Comforteur, a new footwear brand by St. Louisan Joanne Smith, is hosting a trunk show at Laurie's Shoes' Rockhill location on March 28 from 11-2. 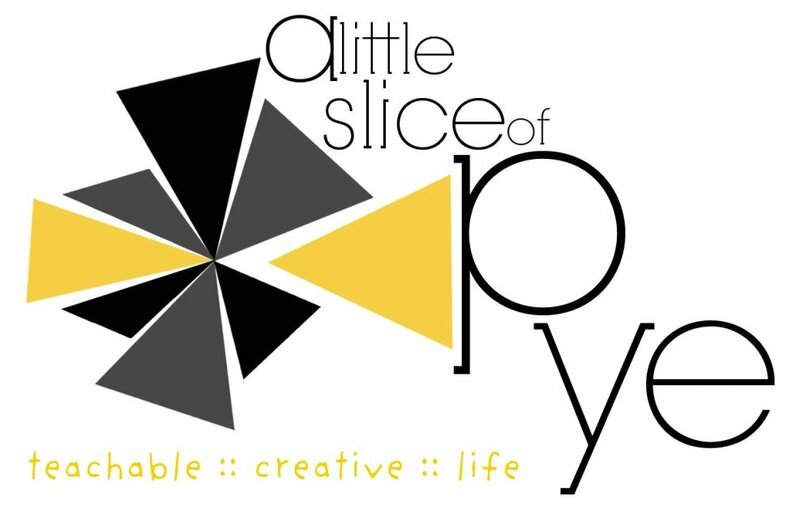 This event is to celebrate the launch of this St. Louis brand right here in our own city! There will be a raffle for a chance of winning a pair of your own Crowne Comforteur shoes. Be sure to mention "Feel Good" when you RSVP! Vintage Market Days, is a weekend long event the weekend of April 24-26. Vintage Market Days is your one stop shop for all things vintage. It's your real life Etsy! If you could combine antique stores, flea markets, and handmade creations all in one place, you'd get Vintage Market Days. Admission is $10 on Friday for the early shoppers and $5 Saturday and Sunday, and admission last the whole weekend. This shopping experience is definitely worth the charge. Don't miss out! Spring Fling in the City will be on May 9, 2015, located in Crown Square in Old North just down the street from Crown Candy. You'll enjoy live music, food trucks, and of course all of your favorite St. Louis local crafters and vendors. Some of our favorites who will be there are Creature Type, Parsimonia, Fable Lore, and Flowers and Weeds. While you're there, be sure to get a milkshake at the infamous Crown Candy!